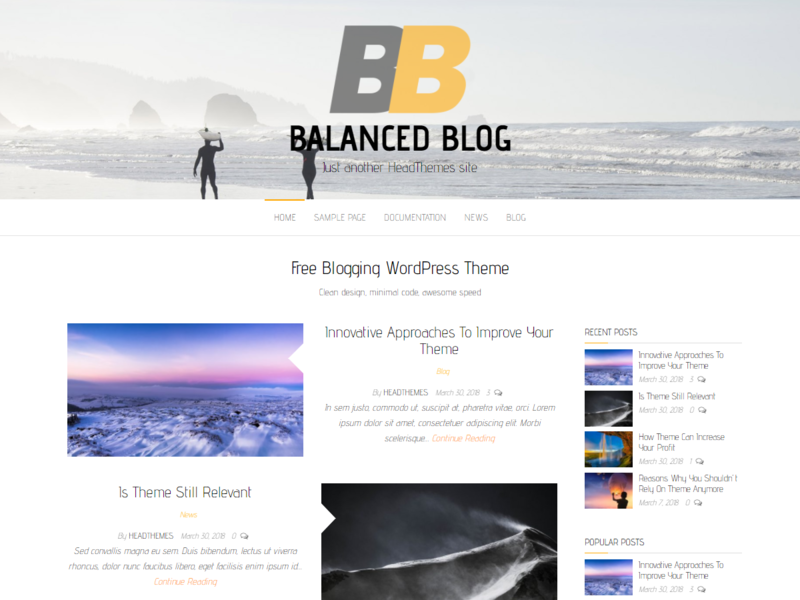 Balanced Blog is a fast free blogging WordPress theme. It is responsive, cross browser compatible, SEO friendly theme. Theme supports custom header, logo or background and it is easy to use even for WordPress beginners. Balanced Blog is WPML, translation and RTL ready. Theme very speedy and is easy to use. Head Plus pluing adds premium features to all HeadThemes themes. No usage limitation. Edit and tune your website with any page builder. Designed to work with the best page builders in the market.